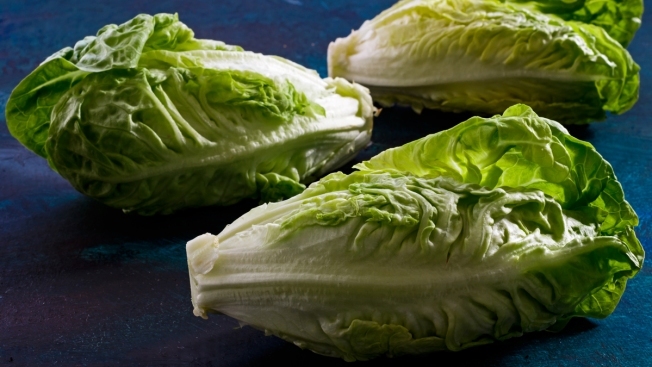 A stock photo shows romaine lettuce on blue backdrop. Health officials on Thursday issued an update to their previous warnings about romaine lettuce, urging consumers to find out where their lettuce originated. In a statement Thursday, the Centers for Disease Control and Prevention advises consumers to "not eat and retailers and restaurants not serve or sell any romaine lettuce harvested from certain counties in the Central Coastal growing regions of northern and central California." "If you do not know where the romaine is from, do not eat it," the statement says. Officials focused especially on three California counties — Monterey, San Benito and Santa Barbara — and warned the public not to "buy, serve, sell, or eat romaine lettuce" from those regions. Read the full warning from the CDC here.